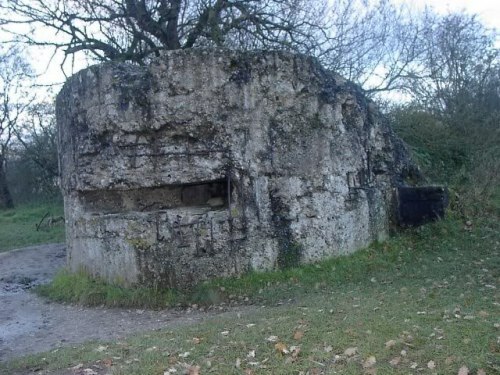 This German shelter is constructed in the Great War (World War I) and was converted and expanded by the Australians into the current bunker in 1918. The Australian bunker was built on top of the shelter. The bunker also saw heavy fighting on 27 May 1940. The Panzerabwehrkanone (PaK) grenade impacts are still visible.